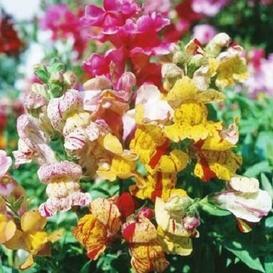 A lovely Heirloom variety of Snapdragon, Brighton Rock features a lovely blend of pastel and bi-colored blooms. Perfect for cutting, clusters of flowers are produced at the top of tall, sturdy stems. Perfect in garden beds or borders, Brighton Rock Snapdragons are also quite adaptable to pots and containers.